Are you thinking of launching a website or redesigning your old one? If you’re reading this post, you probably are. We have selected twenty designs that are absolutely ready for use, so you can have an easy to manage, functional, and stylish website virtually overnight! 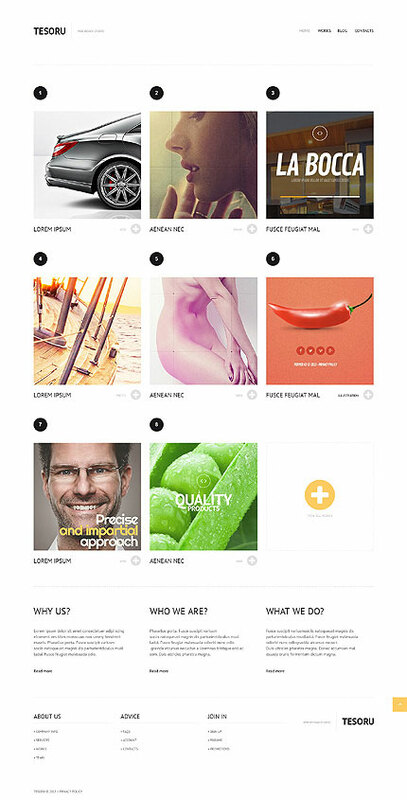 Here’s why these design templates are perfect for you. WordPress currently powers over 70 million websites, and the number is growing each and every day. So if yours is a WordPress website too, it’s a smart choice. The platform is incredibly popular because of its usability, speed, SEO-friendliness, and functionality. The best thing is that a WordPress website looks 100% professional, but it doesn’t take a web professional to manage it. For these themes to be more user-friendly and flexible, they were built with the Cherry framework. It’s a unique framework by TemplateMonster that makes the themes easier to handle for non-techy users. 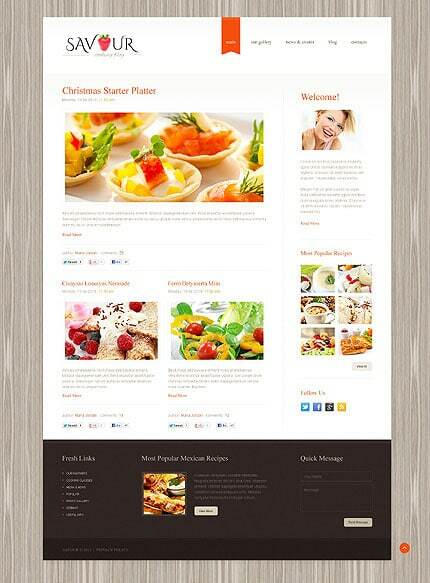 Due to the Cherry framework, the templates are also fully responsive. They will adapt to the screens of mobile devices and look great no matter what device your visitor uses to browse the website. It’s easy to give the theme you like a personalized look: they are customizable, so you can replace all the images, or remove the elements you don’t like or need. Are you worried that the design will not look that good if you use some other images you own? No problem, all images in these designs are included and licensed for use on your website. Even if you don’t find the right design among these twenty, you probably will among the hundreds of others: the templates are provided by the biggest collection of commercial designs on the web, TemplateMonster.com. TemplateMonster team will be ready to help you with installing and customizing your template, and you will receive round-o-clock support before and after you buy it. Does that sound convincing? Let’s look at the designs then and see if you find the perfect one for your website! 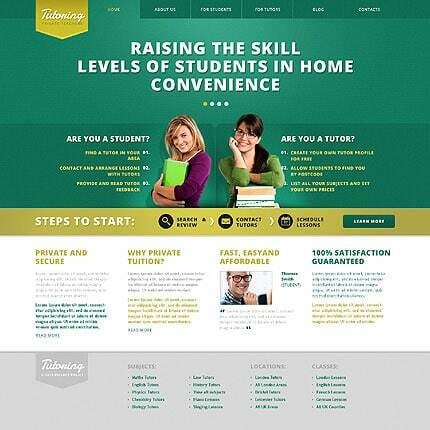 Using a traditional dark shade of green in combination with subtle and light colors, this responsive design is perfect for a website related to education. With a neutral beige background and a big lightbox, this theme looks simple but tasteful. 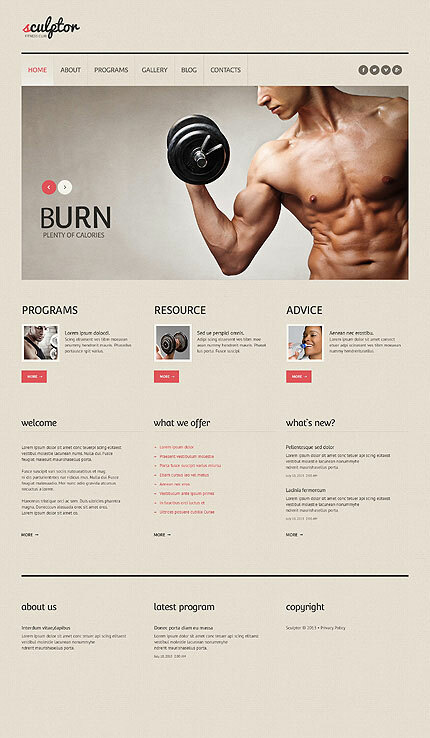 It’s a good match for a website on fitness and bodybuilding. White dominates this clean and minimalistic design, and simple, elegant fonts make it even more stylish. 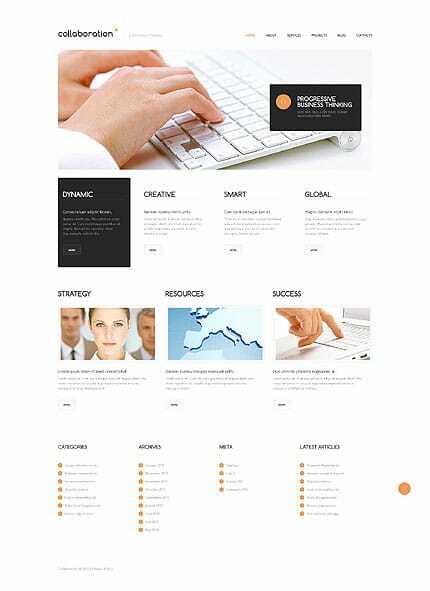 It’s a perfect responsive template for a top-notch marketing agency website. 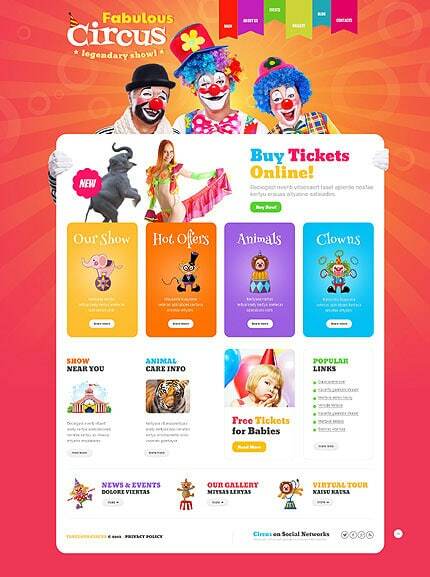 Cartoonish and colorful, this fun responsive theme is just made for a website in the entertainment industry – from a circus to an event agency. 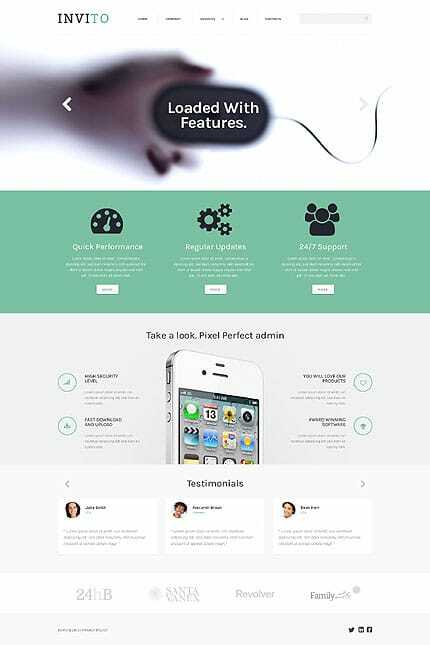 Combining pleasant apple green with lots of white, this big-resolution template looks very clean and fresh. It’s great for an IT business website. 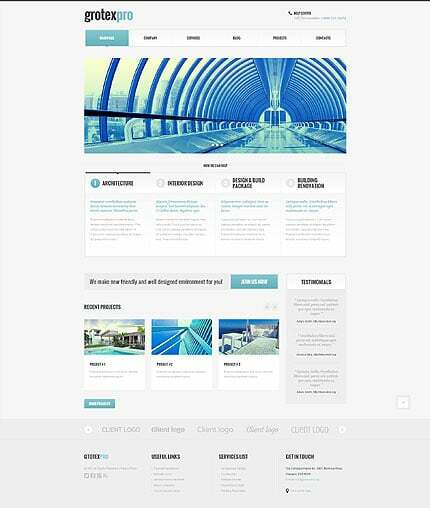 This sleek responsive theme looks very clean, and it’s brightened up with cyan details. The photos in the lightbox look soft and light and fit nicely in the design. It’s a good choice for a business website in the IT industry. The white background in this responsive design is great for highlighting the photos of the delicacies, while original details like the header menu and the light wood background give it a creative touch. It’s a perfect template for a tasteful cooking blog. 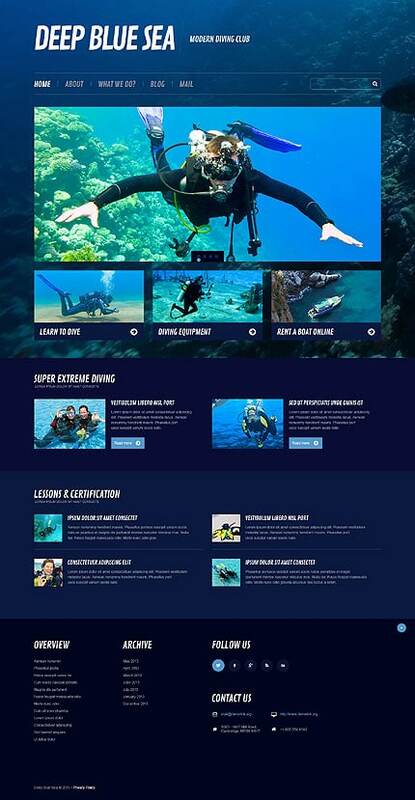 Using deep shades of blue and images of the underwater world, this big design is just perfect for a website on diving. 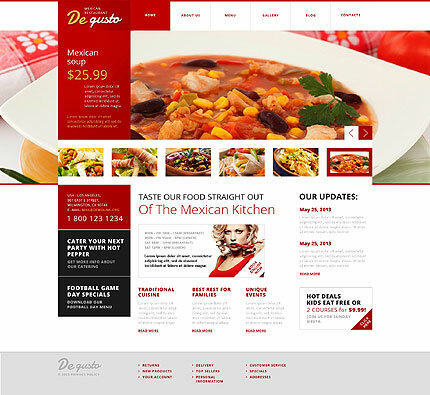 The rich dark red dominates this responsive design, creating an immediate association with the hot and spicy Mexican cuisine. The mouth-watering lightbox images are another great detail of this theme, making it perfect for a Mexican restaurant website. 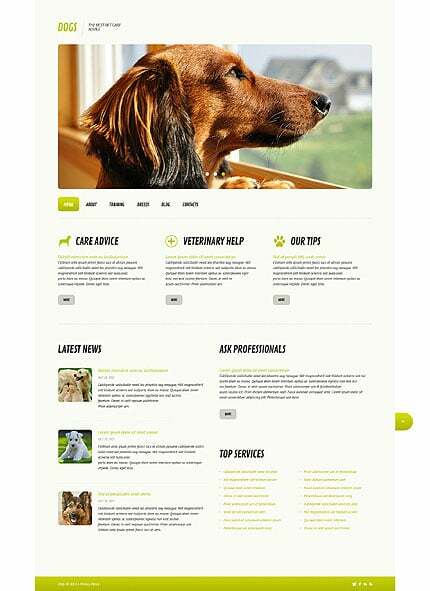 This clean big-resolution design is livened up by nice green details and great images of dogs. A website on dogs should definitely have this theme! With beautiful dark backgrounds, fancy fonts, and lovely images, this responsive theme looks rich and gorgeous. 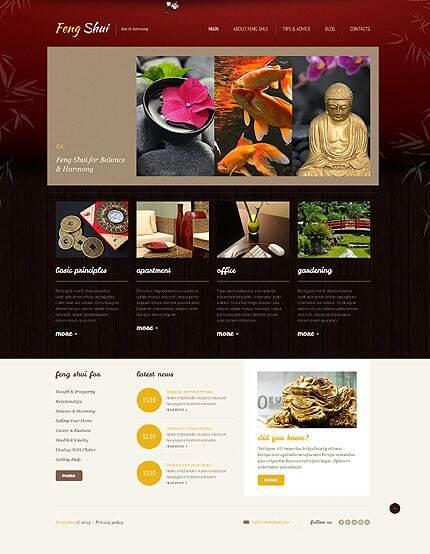 It’s a perfect match for any Oriental-themed website, as a website on Feng Shui. 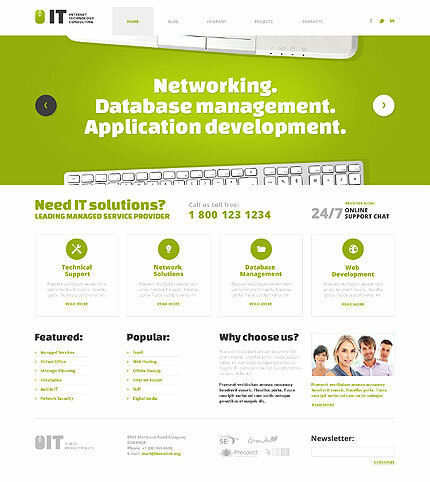 This responsive big-resolution design uses an untypical shade of pea green and a prominent lightbox, where images serve as the background for the header menu. The design looks very trendy and techy, so it’s a great match for a website on gadgets and technology. This clean minimalistic design is based on a grid, which makes it look very stylish. 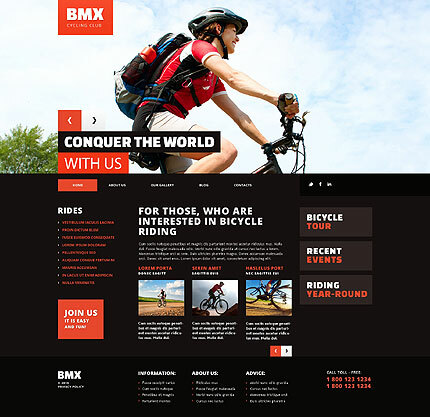 The theme is responsive and will be a great choice for any design studio that wants to impress its visitors. Dark gray, with simple elements and lots of space, this responsive design looks solid and tasteful. 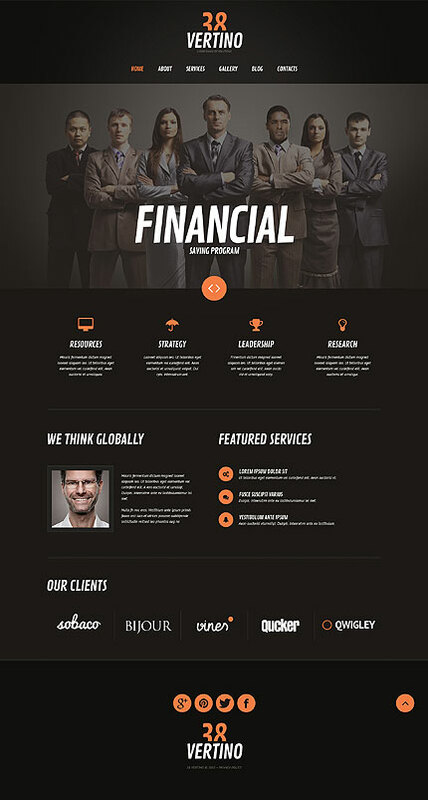 It’s a good fit for a corporate website of an investment company. 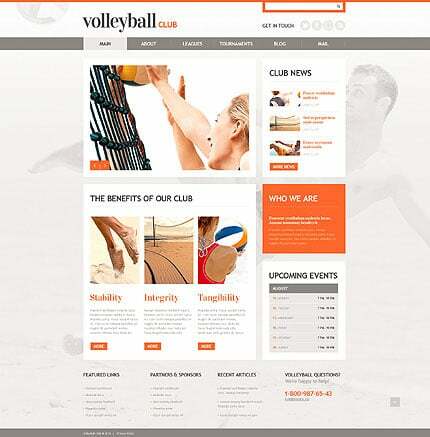 This clean big-resolution design looks very nice with its volleyball-themed images and orange details. It’s a perfect template for a volleyball club’s website. This big stylish design has original menus and an unusual grid-like lightbox with lovely images of models. The photos are softly colored, and fit in this clean design nicely, finalizing its pure look. It’s a great choice for a model agency website. 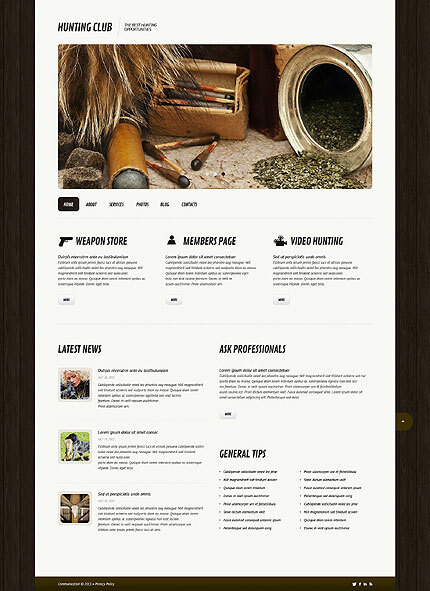 This simple and robust design is great for a website on hunting, with its dark wood background and khaki details. Big and gorgeous lightbox images is what drives attention to this design and makes it look alive. It’s a perfect template for a cycling club website or a blog on cycling. This clean design uses lots of cold shades and interesting images in the lightbox. The combination makes it look elegant – a good fit for an architecture or construction company. This responsive big-resolution theme uses two major bright colors, blue and pink, that make it pretty attention-grabbing. 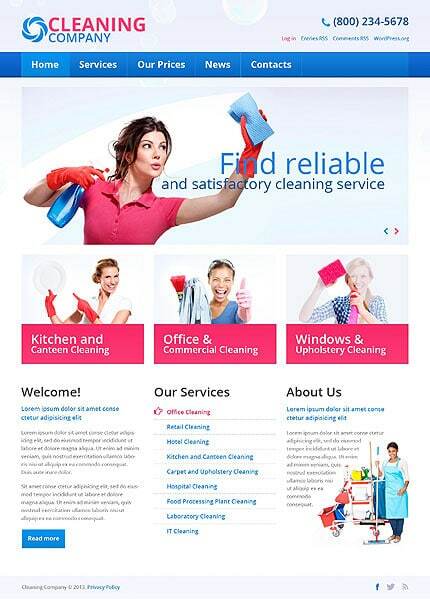 Nevertheless, the design looks uncluttered and would work well for a cleaning services website.